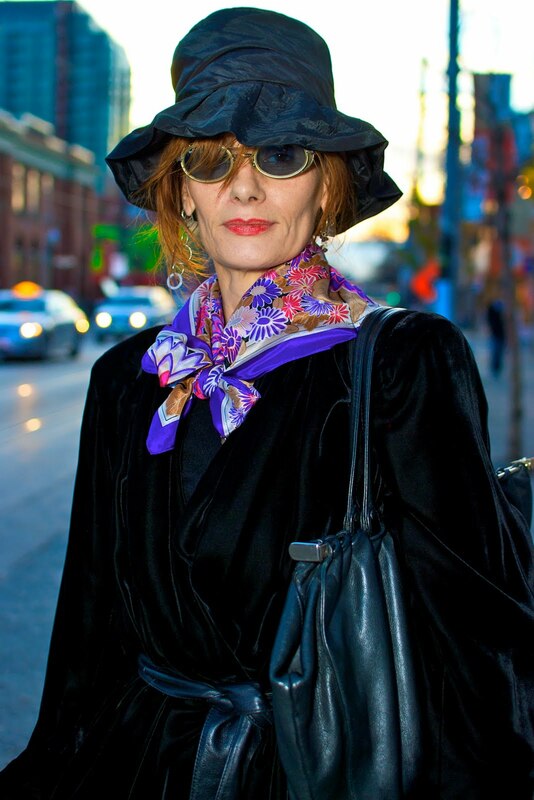 Amanda's exuberance and style immediately caught our eye when we drove passed her on Queen Street West. When I asked to photograph her coolness, she laughed hysterically and for a moment I thought she was going to decline, but as it turns out, she was laughing because I shot her once before outside the Top Chop on Ossington. I can't get over these coincidental encounters.